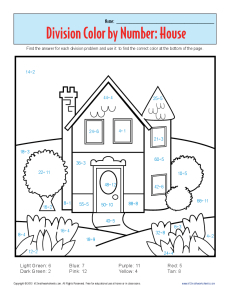 Build a great math foundation with this division color by number worksheet. Your student must solve the problem to discover the correct color to use. When she's done, she'll have a better understanding of math and a pretty picture, as well!